Ahhhhhh, yes, peeps! 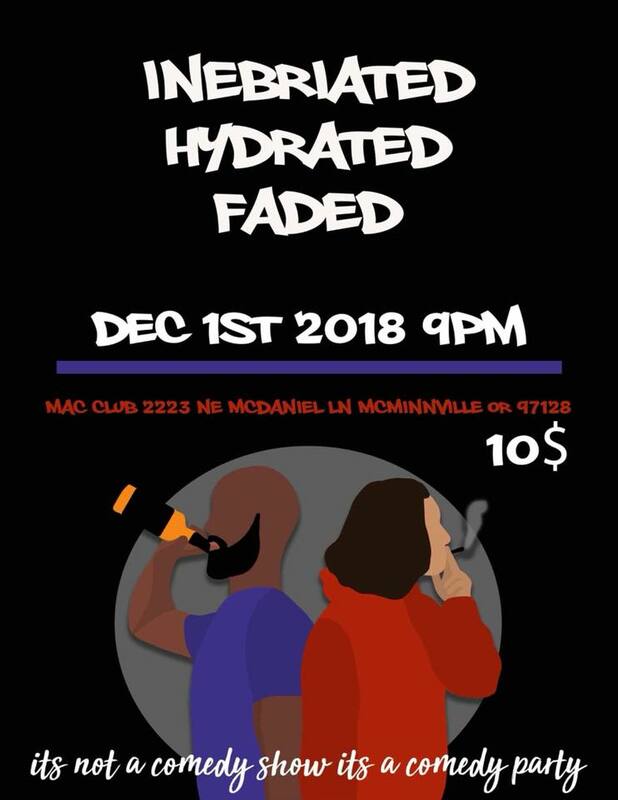 Comedy returns to it’s home in McMinnville with a stop by the Inebriated, Hydrated, & Faded comedy show! 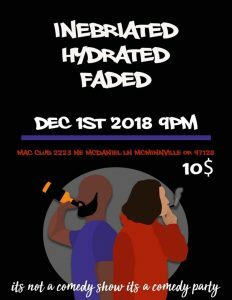 On December 1st, the traveling comedy party will kick the night off at 9 PM. Not familiar with the show? It’s part scripted stand-up, part improv, and 110% fun! 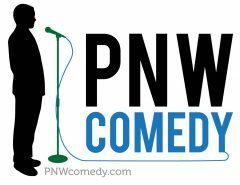 As always, this show is proudly sponsored by The Reel Hollywood Video, and New Leaf Midtown and presented by PNW Comedy and The Mac Club McMinnville. Hosted by Steven Mayes. MC’d by Andrew Brunello.